It must be great to have a birthday near a day like Halloween because there is always a sort of BUZZ around in the air. Your cake story reminds me of my friend Steve T. at work who's wife's birthday is on Halloween. 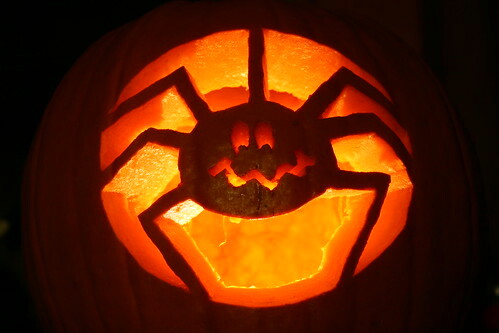 That is a WICKED cool pumpkin!